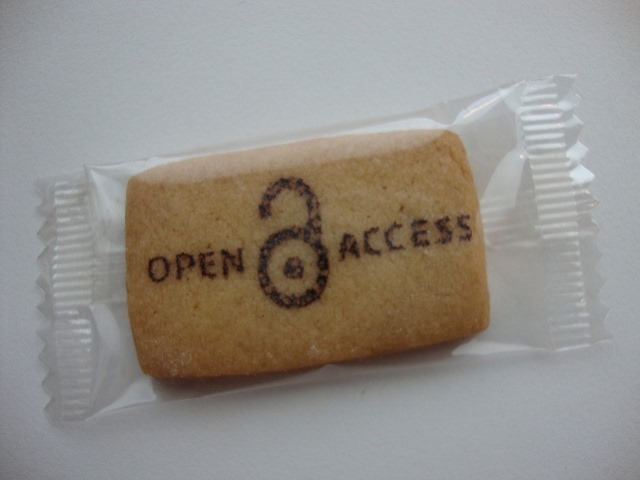 So, it’s Open Access Week this week, and just in case you’ve not been paying attention, yes, I am a fan. Open access journals like the fantastic Fibreculture ensure anyone – whether in academia or anywhere else – can read the work published there (including my own Olympic Trolls: Mainstream Memes and Digital Discord?). Gold open access (proper, full, unrestricted) is the best, but ‘green’ open access arrangements also mean that many commercial publishers at least allow authors to share an early version of their work, so while you might not be able to access the final published version, at least a post-print (a version not formatted and edited by the journal, but still 100% the same content) can be hosted elsewhere, which is why you can read Joss Whedon, Dr. Horrible, and the Future of Web Media over at Academia.edu. Instead of blowing my own trumpet further, though, I’d rather talk about two recent open access developments that are far more interesting. The first is a truly outstanding collaboration by a group from the Association of Internet Researchers (and the Selfies Research Network on Facebook) who’ve created an open access, Creative Commons licensed, Selfies course. Each of the six weeks covers a particular perspective or area relating to selfies, with readings, provocations, suggested assignments and, of course, selfie activities. The breadth of ideas, and structured learning activities, make this a great course in its own right, but even more impressively it’s explicitly presented as material that can be used, explored, utilised and built on by other educators across a range of disciplines and levels. This sort of collaboration and sharing epitomises the very best of open access education, and it doesn’t hurt that the people behind it are some of the smartest thinkers about online culture around today. So, kudos and well done to the talented group who’ve created this amazing resource, namely: Theresa Senft (New York University, USA); Jill Walker Rettberg (University of Bergen, Norway); Elizabeth Losh (University of California, San Diego, USA); Kath Albury (University of New South Wales, Australia); Radhika Gajjala (Bowling Green State University, USA); Gaby David (EHESS, France); Alice Marwick (Fordham University, USA); Crystal Abidin (University of Western Australia, Australia); Magda Olszanowski (Concordia University, Canada); Fatima Aziz (EHESS, France); Katie Warfield (Kwantien University College, Canada); and Negar Mottahedeh (Duke University, USA). I’ll be attending the preconference event Show Me Your Selfies: A pedagogy workshop where we’ll be discussing selfies and the selfies course, which should be a wonderful and stimulating morning, and a great lead in to Internet Research 15 which is in Daegu, South Korea this week. I’m the last talking head, and the bit of my interview they used is where I emphasise the importance of The Conversation using a Creative Commons open access license that explicitly gives permission for the work to be republished elsewhere. I know from first-hand experience, a piece in The Conversation can turn up in a lot of different places. If you’re in Perth this week, there are lots of events on for Open Access Week run by Curtin Library, the details of which are here! 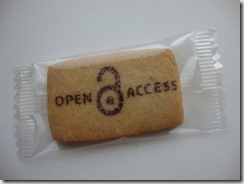 Enjoy Open Access Week: it’s all about sharing, after all!